Dental composite is a strong and durable material that is used instead of metal fillings, also called amalgam fillings. Bonded composite fillings are plastic materials used to match the color of your teeth, without leaving your mouth full of metal. The tooth is conservatively prepared and then cleaned with a conditioning agent. 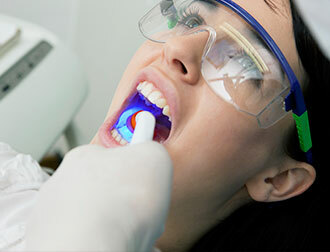 An adhesive agent is then placed and the tooth-colored resin or composite is hardened with a curing light. 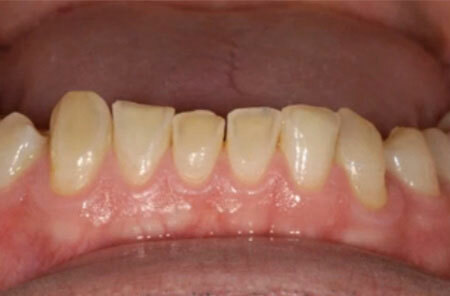 Because there are some limitations to bonding, it is often viewed as best suited for small cosmetic changes. It is not stain resistant and may need repaired or replaced in a few years. 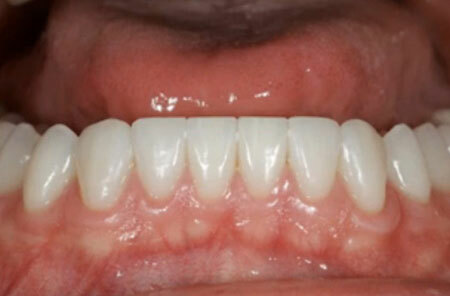 Therefore, in some situations, other procedures such as porcelain crowns or veneers may be a better choice. Whereas fillings are used to simply fill in holes in teeth, a crown is made to completely surround a tooth or attach to a dental implant post. If a cavity is particularly large or if a filling might leave a tooth too weak to handle the ongoing stresses of chewing, a crown is indicated instead of a filling. Crowns also are regularly used on teeth that have undergone root canal therapy. Otherwise, crowns made of porcelain or porcelain fused to metal are custom designed to perfectly fit the color, shape and size of the surrounding teeth. 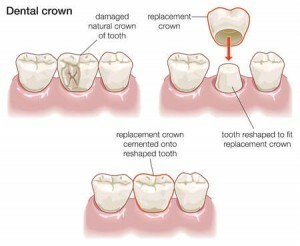 In other words, a crown should look and function like a natural tooth and should receive the same preventive care as a natural tooth to maintain its health.